On the one hand, this is the story of the author’s grandparents, Hungarian Jews during the holocaust. How can you criticize? On the other hand, it’s an overwrought romance followed by tedious suffering-through-war times. Entertaining, easy read. Fluff, but on the good end of fluff. Same author as What Alice Forgot. I thought that I would love this, but I sort of didn’t. 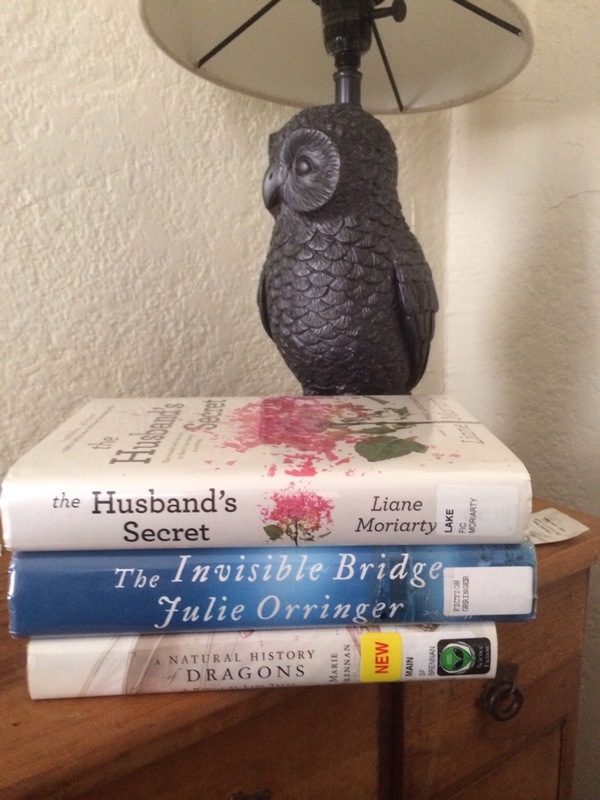 It was more of a mystery than it was a fantasy, with dragons. And the narrator was a bit heavy-handed in her explaining to me just how smart and forward thinking she was. Halfway through it, I started regretting my rec to LZ, but apparently, she liked it! 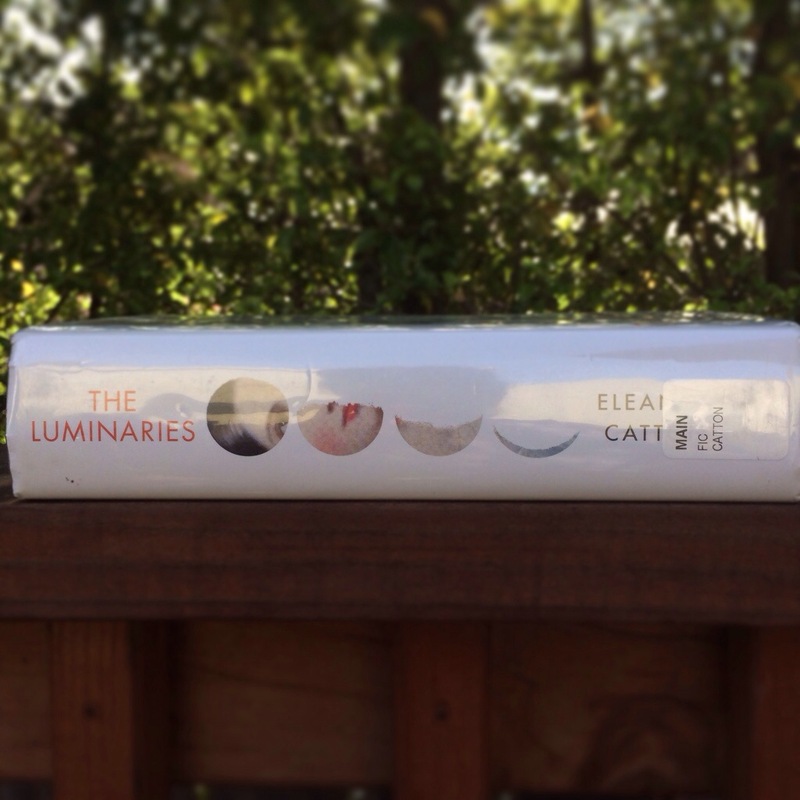 The Luminaries was on every list of the books you should be reading, so I wanted to read it. Real bad. So bad that I waited for my turn to get it at the library for months and months. But I got it, and let many other books fall by the wayside while I chugged through this 830 page beast. For a while, I thought that I hated it. But I stubbornly persisted until I was actually curious. The basic premise is a mystery and it did its basic job of intriguing me with it’s fancy “who done it” plot. But it was so fancy that I don’t think I ever really understood. I had the sense that something very clever had happened and I just couldn’t quite ferret it out. Similarly, I had a nagging feeling that all of the astrology references and the chapter structure were also supposed to be telling me something clever, but I was too busy calculating my library late fees to get it. And while I’m pretty confident that the villain was responsible, I still don’t know how the one guy got murdered and the lady got passed out in the random nowhere place. But it was very complicated and I’m sure the author lady was very smart in thinking it all up. Just not so smart that it could be clearly conveyed to this dogged reader. Tagged as "2013 booker prize winner", "book review", "Eleanor Catton", "The Luminaries"